With so many trucks on the road, you need your truck to separate from the pack! Advertisements remain one of the best ways to promote your company and your services, and mobile advertisements, like truck wraps, are the most effective. By promoting your marketing efforts, vehicle wraps play an essential role in growing your company brand. A vehicle wrap will turn even your daily commute into vital advertising opportunities. If you’re interested in truck wraps in Fort Worth, TX or the surrounding areas, call us! Metroplex Wraps offers full-service vehicle wrapping solutions to ensure you are “Driving Mobile Marketing!”. Give us a call today and see how we can make it happen! More than likely, your company trucks are used in many day-to-day tasks for your company every single day. Whether you are running service calls, making deliveries or supervising your crew, a professionally wrapped truck commands respect. It also is seen by 70 to 100,000 potential clients a day. There is no stronger form of branding your company and promoting your products and services. We can wrap pickup trucks, moving vans/box trucks, SUVs, and specialty service trucks to keep you a step ahead of the competition. Whether you choose to have a partial vehicle wrap that blends seamlessly with your truck’s existing paint or a full vehicle wrap which can even cover windows without impeding visibility, we are sure to have the ideal solution for you! 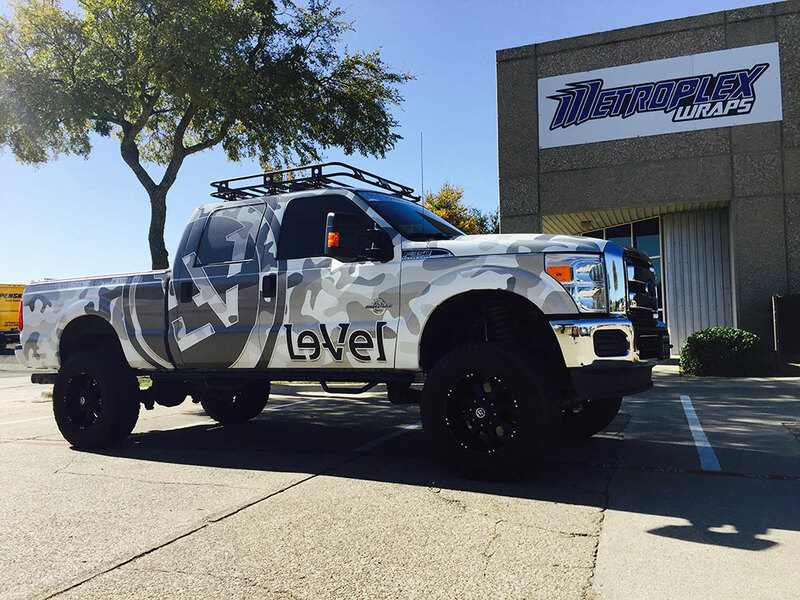 Truck wraps not only increase your advertisement opportunities, but they also provide valuable protection for your factory paint by protecting against harmful UV rays, dirt and small debris on the road. Our professional, expert design team will work closely with you to design the perfect company logo or advertisement that fulfills your vision down to the last detail. Updated on September 19, 2018 at 9:01 pm by Metroplex Wraps.